Soccer Timeline with important moments. This soccer timeline lists many important events in the history of soccer, leading to this sport where it is today. There is no clear documentation stating the date and place for when soccer originated. Most historians agree that some type of soccer game, played without the use of hands, has been around for at least 2000 years. Similar games to soccer can be seen in games played in Japan, China, Greece and Egypt, before the modern game we see today developed in England. Here is an eventful soccer timeline from soccer history and the events that have shaped the game of soccer to what it is today - GREATEST SPORT IN THE WORLD. Games resembling soccer were played in China, Egypt, Japan, and Greece during this period. There were no rules for the game and players kicked a ball made of animal skin into a net to score points. There was a lot of pushing and elbowing because the referee was not present during this time. These games were also used by soldiers to make them physically fit in the eventuality of a war. China and Japan were the first countries to have an international game that resembles soccer. Their version was called Tsu Chu for Chinese and Kamari for Japanese cultures. This game is believed to have occurred roughly around 60 BC. Mexico & Central America created a rubber ball and used it to play a game resembling soccer. Field was 40-50 feet long and the point of the game was to kick the ball through a mounted stone ring to score a goal. First soccer games played in Britain were by the locals east of England. These games were violent, where injury and death were not uncommon during these soccer time periods. One game involved kicking around the head of a Danish prince that England defeated in a war. 1170 - William FitzStephen wrote the first description of a soccer match in England. 1331 - King Edward III of England passed the law to ban the playing of the game. The game was gaining popularity within the people, despite the matches being very violent with deaths and injuries very common during these times on soccer timeline. 1424 - King James I of Scotland also bans the game of soccer. 1500 - Game called "Calcio" with teams of 27+ players was played in Italy. The game involved kicking, carrying or passing the ball across a goal line. Set of rules for "Calcio" was introduced by Gionanni Bardi. 1572 - Queen Elizabeth I of England introduced laws that could sentence a football player to jail for a week followed by penance in a church for playing this sport. 1314-1660 - According to soccer timeline history six monarch’s and Oliver Cromwell all attempted to ban soccer in what was perceived as evil influence on the population. Despite such opposition, the game was still played throughout this entire period. 1600 - Native Eskimos of Alaska and Canada played a game called Aqsaqtuk on ice, using balls stuffed with grass. 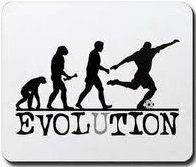 1605 - The game of soccer became legal again in England. 1815 - Eton College of England established a set of rules for the game of soccer. 1820 - Soccer in the USA was played among the Northeastern Universities of Harvard, Princeton, Amherst and Brown. 1827 - According to the history of soccer timeline in USA, Freshman and Sophomore classes at Harvard had instituted an annual soccer contest during the 1827. This contest was played on the first Monday of the new school year. Games were evidently quite rowdy, as the event was known as "Bloody Monday" according to soccer timeline. 1830 - Modern form of soccer originated in England. Soccer grew among working-class communities and was seen as a way of keeping young kids out of trouble at home and in school. 1848 - Rules of soccer were further standardized and adopted by all the schools, colleges and universities. These rules are known as the Cambridge Rules in soccer timeline. 1862 - The first soccer club formed outside of England was the Oneida Football Club, from Boston USA according to soccer timeline. 1863 - Football Association was formed on October 26th, 1863. Eleven London clubs came together at the Freemason's Tavern to establish a single set of rules to follow in the upcoming matches. 1869 - The Football Association rules were further amended to exclude any handling of the ball using hands. 1871 - First FA Cup Final was played at the London Oval cricket ground. The Wanderers, team made up of Public Schools and University players were the winners of the 15 teams that participated. This was the first knockout competition of its type in the world as we continue through this history of soccer timeline. 1872 - First official international soccer match was played in Glasgow, Scotland, between Scotland and England. Match took place on November 30th, 1872 and finished with a 0-0 draw. 1873 - Scotland formed its Football Association. 1875 - This year marks the introduction of the first Wooden Crossbars, replacing ropes that were tied across two upright stakes. 1882 - England beat Ireland 13-0, which is also record defeat between International teams according to history of soccer timeline. 1883 - Four British associations agreed on a uniform code and formed the International Football Association Board. 1884 - Soccer history timeline shows Preston North End playing Upton Park in the FA Cup. Preston North End was expelled from the competition by the FA, after it emerged that Preston players were getting paid. 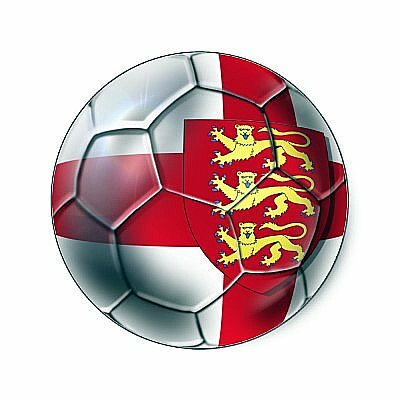 Preston now joined forces with other clubs, mainly from the North of England, also paying players, and threatened to form their own breakaway Soccer Association. 1885 - Soccer history timeline shows the very first International match played by teams outside of Great Britain. This match was played between USA and Canada, in 1885. 1886 - Football Association (FA) starts training match officials. It was also the first meeting of the International Football Association Board. 1888 - League system is inaugurated and professional footballers are allowed. Referees are given extensive powers of control during a match according to soccer history timeline. 1888 - Penalty Kick is introduced. 1889 - Preston North End became the first club to win the English League and FA Cup, making it a first double double. 1890 - Soccer timeline shows that goal nets were invented by Liverpool. Goal Nets were officially first used in 1891 and than later in 1892 FA Cup final. 1895 - The FA Cup was stolen while on display in Birmingham U.K.
1899 - Football Association sends its first representative team abroad. A German team visits England. France, Belgium, Denmark, Netherlands, Spain, Sweden and Switzerland. The meeting took place in Paris, on May 21st, 1904. 1908 - Soccer was played at the Olympic Games for the very first time as the soccer timeline continues. 1913 - FIFA is introduced as a member of the International F.A. Board. 1923 - The FA Cup Final was moved to Wembley stadium for the very first time. 1930 - The Federation Internationale de Football Association (FIFA) held the very first World Cup tournament in Montevideo, Uruguay. 13 teams participated in the very first FIFA World Cup. 1932 - Soccer was taken off the program for the Olympic Games in Los Angeles. This was due to a controversy between FIFA and the IOC over the definition of Amateur and the reluctance of many strong soccer countries to travel to the US because of the expense involved. 1938 - First English FA Cup Final was Televised live by BBC in this soccer history timeline. 1954 - UEFA was formed on the 15th June. The Asian Football Confederation was formed on May 8th. 1955-56 - First European Club competitions, later to become the Champions League. Real Madrid were the first winners, beating Stade Reims 4-3. 1958 - First live Worldwide TV coverage of the World Cup and this soccer timeline. 1960 - The first European Soccer Championship finals held. The original idea came from Henri Delauney, whom the trophy is now named after. Soviet Union won the first tournament in France, defeating Yugoslavia 2-1 in the final. 1960 - TV rights for European Cup Final (Real Madrid v Eintracht Frankfurt) raise £8,000. 1961 - Luis Suarez becomes the most expensive soccer player ever when he is transferred from Barcelona to Inter Milan for £152,000. 1961 - On December 18th, CONCACAF (The confederation of North, Central American and Caribbean Association Football) was formed. 1966 - This year introduces action replay machines and videotape that was used at 1966 World Cup, where England came out as Champions. 1970 - Brazil became the first Country to win the World Cup three times. Brazil won against Italy 4-1 in the World Cup final in Mexico city. 1971 - Soccer legend Pele retired from international soccer after Brazil tied Yugoslavia 2-2, in front of 150,000 people at the Rio de Janeiro's Maracana Stadium. 1975 - Guiseppe Savoldi becomes the first £1m player when he is transferred from Bologna to Napoli for £1.2m. The record would stand for just a year, in 1976, Paolo Rossi left Juventus to join Vicenza for £1.75m. 1977 - This year marks the introduction of FIFA World Youth Tournament in Tunisia. It was renamed to World Youth Championship in 1981, and it was for players under 20 years of age. 1982 - First player to miss the penalty kick in World Cup tournament was Antonio Cabrini. His Italy team still triumphed 3-1 over West Germany in the final played in Madrid, Spain. 1985 - FIFA U-16 World Tournament was introduced for players under the age of 17. Tournament was first held in China, and later it was renamed to "Under-17 World Championship", in 1991. 1986 - Finest Individual Performance in the World Cup. Diego Maradona inspires Argentina, and single handedly at times leads Argentina to 3-2 World Cup Final victory over West Germany. His goal against England in the quarter finals, showcasing his unquestioned genius as he dribbled the ball past 5 players and the goalie to finish with a goal. He also cheated in scoring the goal using his hand, which came to be known as "Hand of God" in this soccer history timeline. 1989 - First FIFA World Championship for 5 vs 5 soccer was held in Netherlands. 1991 - First FIFA World Player of the Year award was given to Lothar Matthaus of Inter Milan and Germany. 1991 - First FIFA World Championship for Women's Football was held in China. It was won by United States. 1993 - Pelé, the most recognizable soccer legend in the world, is inducted into the National Soccer Hall of Fame, along with John Nanoski and Dennis Long. 1994 - First World Cup Final to be decided on penalties. Brazil wins after Roberto Baggio misses the crucial final penalty kick with the ball flying high into the stands behind the goal. This World Cup was played in United States. That was the first time that the World Cup went outside of Europe or South America. 1994 - 3 billion people follow USA World Cup in 1994. 1996 - Major League Soccer (MLS) is introduce as the top USA professional soccer league. 1998 - Real Betis break the £20m record for a transfer, spending £21.5m on Brazilian winger Denilson. France defeated Brazil 3-0 in Paris to lift the World Cup for the very first time. 1998 - 3 billion people follow World Cup in France. 1998 - Joseph S. Blatter succeeds Joao Havelange as FIFA President. 1999 - Christian Vieri becomes the first £30m player when he is transferred from Lazio to Inter Milan. 1999 - Women's World Cup Final in Los Angeles marks the largest ever attendance for a women's sporting event in world history. USA beat China in front of 90,185 fans. This Woman's World Cup had over 658,000 attendees and over 1 billion television viewers worldwide, thus not only putting women's soccer but also women's sport into mainstream society forever. 2000 - Brazil hosts the first FIFA Club World Championship, won by Corinthians of Brazil. 2001 - Zinedine Zidane is the first £40m player when Real Madrid broke the world transfer record again by agreeing to a £46m deal with Juventus for the Frenchman. 2002 - Korea and Japan co-host the first World Cup outside Europe and the Americas. 2009 - Cristiano Ronaldo becomes the most expensive player in the world when he came from Manchester United to Real Madrid for £80m. 2010 - First ever World Cup tournament is played on African soil in Johannesburg, South Africa on 11th June at 4pm with the match between the hosts South Africa and Mexico. For more information on history of soccer timeline visit Soccer History Timeline. Soccer Word Origin comes from shortening Football Association. Read more about the origin of the word soccer, and how Football Association ended up simply Soccer. Who Invented Soccer? Where was the first soccer ball kicked with purpose to score a goal? When did the game get organized with a much needed rules? Soccer Ball History shows when the first soccer ball was invented, and where it originated. History of soccer in America goes back much further than I originally thought. Brazil Soccer History is filled with great moments, trophies, and great soccer players. Mexico Soccer History is not as rich, as many other Central, and South American Countries. Italian Soccer History is filled with trophies, great players, and many scandals. England Soccer History is very old, and dates back to 1324, when a young man got hurt during a game as he kicked the ball. Soccer Timeline takes you through the history of soccer, and important years throughout soccer history. History of Soccer Cleats dates back to 1525, when the first pair of soccer cleats were discovered in England's King Henry VIII wardrobe. World Cup History Timeline covers all the important years, dates, and information about the greatest tournament ever organized. World Cup is played every 4 years, in a different Country.